Been to Iceland? Want to go? Iceland is a hot destination now, and for good reason. Airline bargains abound, and the scenery is amazing. If you haven’t discovered this beautiful country for yourself yet, I highly recommend making the trip. Whether you have just been or hope to go, you will be interested in the ASMP Photography exhibit in Pittsburgh this Friday July 9 at 803 Liberty Avenue. I will be exhibiting some large works from my recent trip to Iceland. Volcanic eruptions are in the news now with action in both Hawaii and Guatemala. Iceland has been formed by volcanoes, and it has experienced recent eruptions. The Icelandic fishing center Heimaey Island, just southwest of the mainland, has recovered from a two-year eruption beginning in the 1973. You can learn all about it at the Museum of Remembrance and walk its quiet streets now lined with new homes. Walking from the volcano Eldfell back toward the harbor town, I encountered this peaceful cemetery, which was dug out by hand during the cleanup operation. If you like hiking, landscape photography and exploring quiet places on your own, you will enjoy a visit to Iceland. Author cathykellyphotographyPosted on June 24, 2018 Categories Life, Nature/Landscape, TravelTags #1973, #cemetery, #heimaey, #iceland, #island, #recovery, #volcaniceruption, #volcano4 Comments on Been to Iceland? Want to go? From the Normandy American Military Cemetery in Colleville sur Mer, France, I share with you two maps displayed on the walls showing the Allied Landing on the Normandy beaches on D-Day and the Allied Invasion of Europe that continued until 1945. Most all of us are too young to remember those days, but we should never forget the “Greatest Generation” who liberated Europe, defeated Hitler and restored freedom to the Western World. I shot these photographs of the wall maps at the Normandy American Cemetery shortly after the 60th anniversary of D-Day in June 2004. 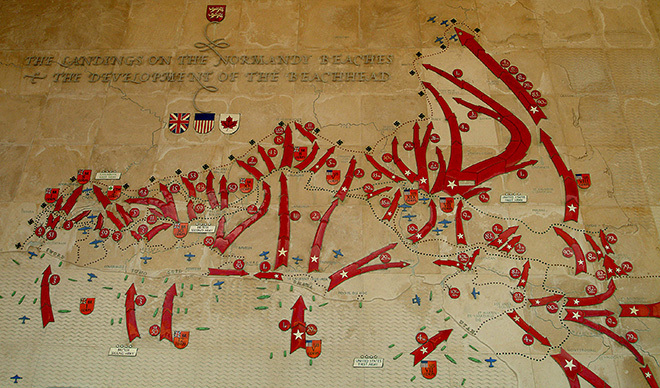 From American Cemetery in Normandy, map showing Allied Forces landing in Normandy on D-Day. 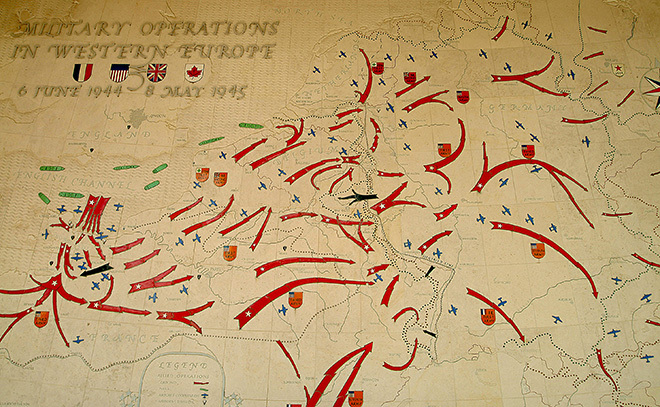 This second wall map shows the movement of Allied forces through Europe from 1944 to 1945. If you want to read a tremendous book about this story, pick up Stephen Ambrose’s D-Day. Map from Normandy American Cemetery showing Allied military operations in Europe 1944-45. *Reference to Tom Brokaw’s book, The Greatest Generation.